Dr. M S Paul is one of the best Gastroenterologists in New Delhi and has an experience of over 32 years in this field. He has formed the Gastroenterology dept in Fortis Flt Lt Rajan Dhall Hospital. Dr. Paul has a vast clinical experience, and in addition to routine endoscopy, colonoscopy and ERCP he is adept in all therapeutic procedures like Metallic stent placements in esophagus, biliary and pancreas tracts and liver related procedure like liver biopsies, FNAC from tumors, liver abscess drainage etc. 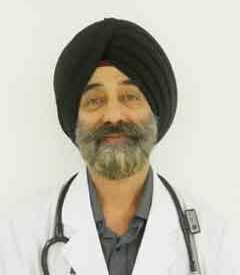 Dr. MS. Paul has several years of teaching experience in one of the top medical institutions in Armed Forces Medical College and in Delhi University (Armed forces R & R and Base Hospital Delhi Cant). Dr. M S Paul is one of the best Gastroenterologists in Delhi and has an experience of over 32 years.